1) DISHA chatbot: In an attempt to address round the clock queries of railway passengers, an Artificial Intelligence (AI) based chatbot called ‘Ask Disha’ (DISHA- Digital Interaction to Seek Help Anytime) has been introduced on IRCTC’s website and mobile app. With this system, any query regarding rail journey such as queries related to ticket cancellation, ticket booking, catering etc. would be answered. 2) Book now pay later option: IRCTC has introduced a new “Post Paid” payment option under “book now pay later” category. This option allows users or passengers to pay at a later stage for tickets booked on the IRCTC website. The facility of ‘ePaylater’ and ‘Pay-on-Delivery’ is available both for reserved and tatkal tickets. The facility allows passengers to book tickets and make e-payments within 15 days or on the delivery of ticket within 24 hours. 3) Increase in ticket booking limit through Aadhaar verification: In a bid to address the feedbacks from frequent rail users to increase the monthly limit of 6 train tickets per user, the KYC process has been introduced. However, Aadhaar verification is required. The ones who are Aadhaar verified can book up to 12 tickets in a month. The step is especially useful for frequent travelers. 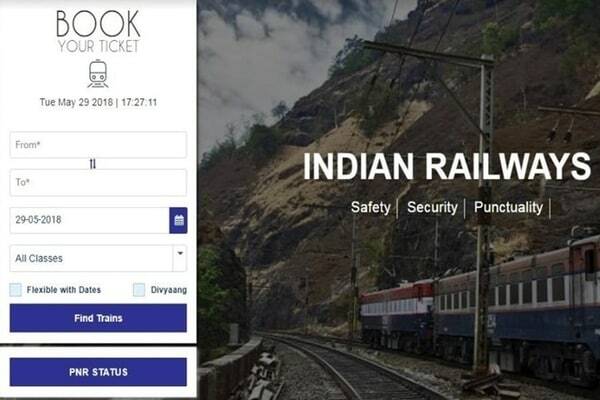 4) Online facility to cancel counter booked ticket: With more and more people using the internet to book or cancel their railway tickets, IRCTC has facilitated the facility of online cancellation of tickets that have been booked through railway counters. Therefore, with this step, passengers now do not have to go to the respective railway counter for ticket cancellation. 5) Debit card transactions: On e-ticketing of railway passengers, debit cards transaction charges have been completely waived off by IRCTC, up to Rs 1 lakh transaction amount. Other than the debit card, passengers have other payment options as well for online ticket booking such as net banking, IRCTC eWallet, credit card, cash cards etc. 6) Travel insurance: IRCTC, on a very competitive cost of Rs 0.49 per passenger, is offering rail travel insurance cover of up to an amount of Rs 10 lakh. The policy information is received by the railway passenger through SMS as well as on their registered e-mail IDs directly from the Insurance Companies. If one has to view the policy number, he/she can view it from ticket booked history at IRCTC page. 7) Push notifications on IRCTC website and Mobile app: To keep its users informed about new schemes, updates etc, IRCTC has launched the push notification facility on its website and app. Users can subscribe to the alerts to know the latest information and important messages from IRCTC. Meanwhile, IRCTC has also launched a new payment gateway – iPay – on a pilot basis. In the coming years, IRCTC may also offer this payment gateway in collecting online payments from government websites and other websites of private sectors, after integrating with them. At present, users can use the iPay option on IRCTC air portal. An IRCTC official told Financial Express Online that depending on the success of the payment gateway it will be integrated for railway ticket booking as well. With its own payment gateway, IRCTC hopes to reduce any errors in digital transactions while booking tickets and also allow for a faster refund of tickets. Next story Rajasthan Royals owner set to sell stakes, big business houses expected to bid.